Thank you for visiting Interstate Delaware & South, Inc.'s website. We have been proudly serving the Indianapolis and surrounding area since 1963. Committed to your, the customer's, success, our professionals will take the time to listen and work with you every step of the way to assure your complete satisfaction. So for greater peace of mind and less hassle with all your light and heavy duty towing, recovery and transport needs, hook up with the experts at Interstate. Commencing as of June 1, 2012, Interstate took new ownership. The owners, management and staff of Interstate Delaware & South, Inc. are proud of its past and are eager to earn the respect and confidence of the public of Indianapolis and the trucking community of the region. 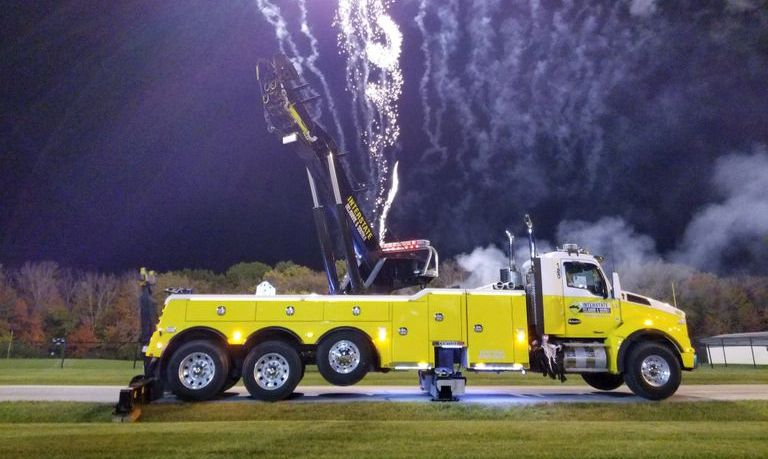 With over 100 years experience in the towing and recovery industry, the new owners feel confident that Interstate will be "Indy's Premier Towing and Recovery Company" once again! Accomplishing this goal will not be easy. It's going to take hard work and dedication. We will never forget that customer service and satisfaction is our primary objective. That is why at Interstate Towing, we will never have an answering machine or answering service take your call. With our highly qualified and professional dispatchers working around the clock, you, can feel at ease knowing that Interstate Delaware & South, Inc. will accommodate any and all of your transportation needs - whether it be a tire change in the middle of the night or a severe incident during rush hour traffic.